UH Tempe consists of Phase I which was acquired by University House in August 2013 and Phase II which was developed immediately upon the acquisition. 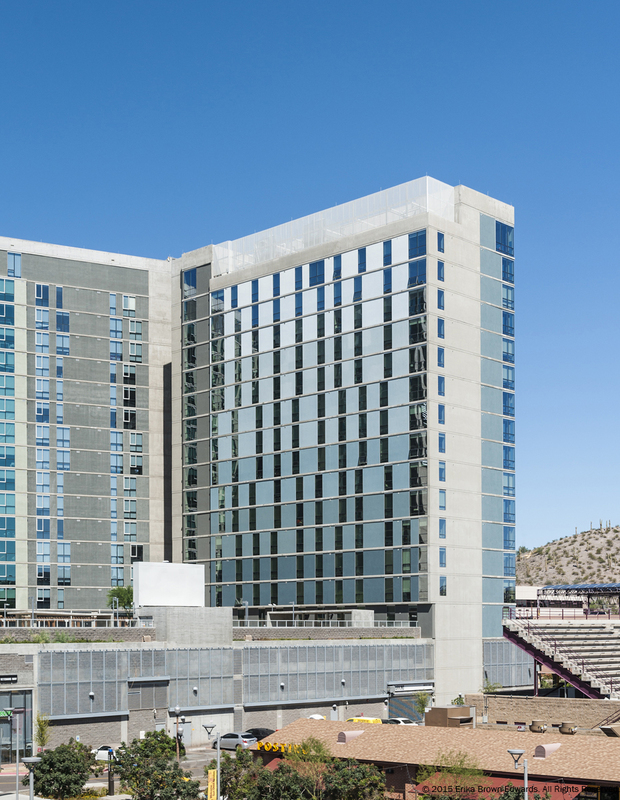 Consistent with the ASU of-campus market, the property is a 19-story, upscale student housing high-rise located directly across from Sun Devil Stadium and just steps from light-rail and campus. Featuring 40,000 sf of amenity space, including: swimming pool, hot tub and layout pool with island, private misting cabanas with flat screen TV’s, hammock area, volleyball court, 22-foot LED outdoor video wall, indoor/outdoor fitness center and more. Premium apartments are fully furnished with stainless steel appliances, granite countertops, walk-in closets, and a 42” flat screen in every living room. The project achieved a combined occupancy of 93% in Fall 2015 upon the opening of Phase II. Phase II achieved rents 4% higher than Phase I upon opening.